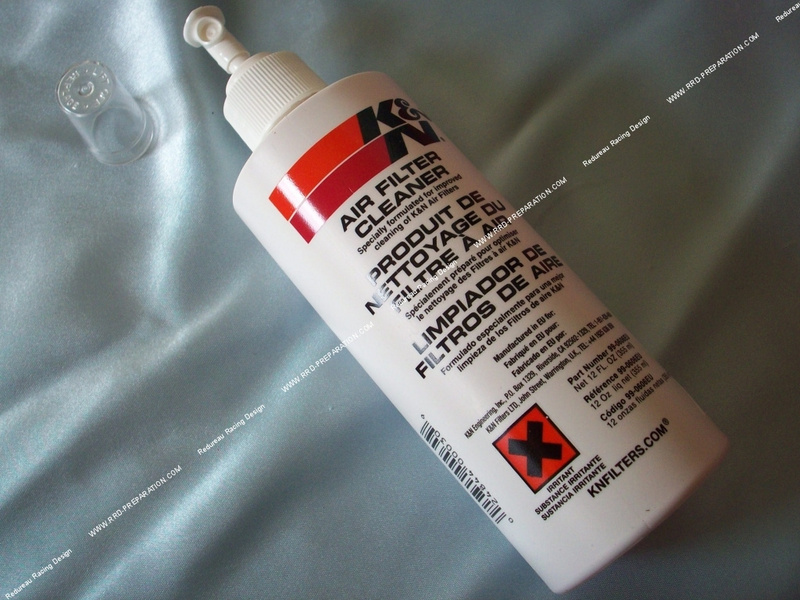 Cleanser 355ml spray for cleaning your air filters K & N or other models like K & N, foam .... This very upscale cleaner you will put your own filter like new therefore offer maximum breathing engine. All without attacking the filter unlike gasoline and other products too irritant. Accompany after this cleaning your shot of an oil filter air filter for more safety engine.